Picture from simon3 : Cahore Point from the north. 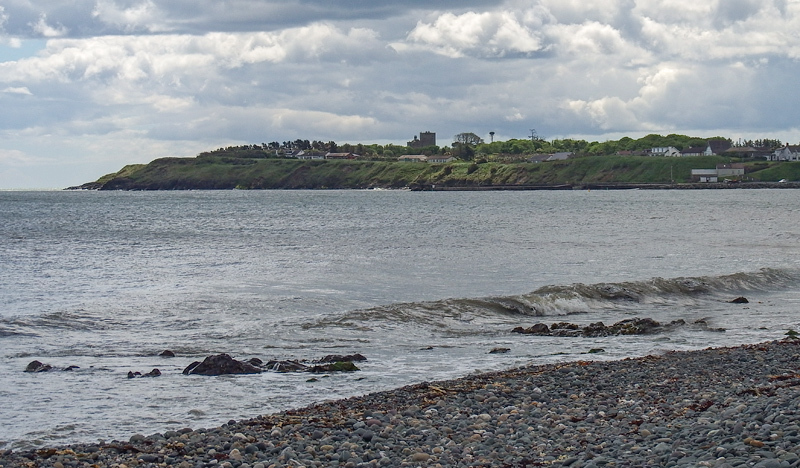 Picture: Cahore Point from the north. Built up headland with available path and good views. Cahore Point is a considerable headland in North Wexford. Although built up, it is possible to walk along the coast around the top of the headland from north to south. The pier has an unusual feature called the Cahore Canal, which is a drain taking water from "Bog and Warren", an extensive area of drained marsh south of the headland and putting it out to sea from the small pier.